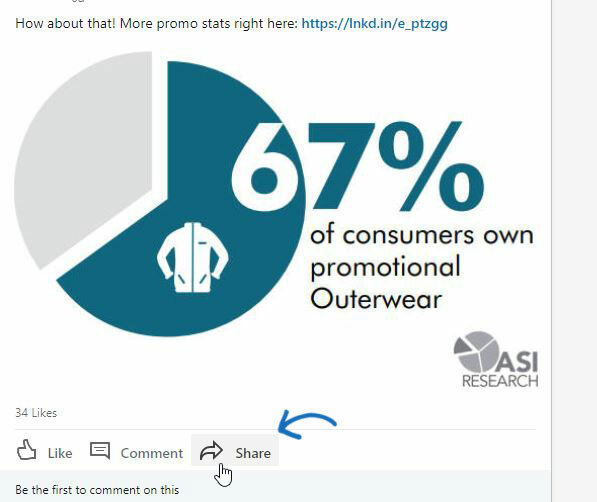 Go to the post you want to share, and click the Share button under it. Choose how you want to Share: Public (anyone on LinkedIn can see this content), Public + Twitter (anyone on LinkedIn and your Twitter followers), Connections (post to the newsfeed of your personal connections). Type a message to accompany your post, then click Post. How do I find the business page that you created under my personal account? 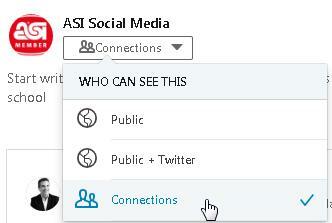 Click the Me icon at the top right of your page. Under Manage, click the correct Page. Why aren’t you posting promotional products all the time? LinkedIn is a professional networking platform, used to build business relationships by sharing relevant information for personal and professional branding. It’s better suited for branding, marketing articles and impressive stats than just posting products. Sometimes we share products, but it’s always tied to why the products should be used for branding. How do I invite people to follow my business page? Email employees and customers with a direct link to your page. Copy the URL of your business page, paste it in an email and ask employees and customers to follow you. Ask your employees to help. Send an email to your employees and ask them to create a LinkedIn profile and include your company’s name. They can then become connected to your company page. Include a link to your business page in your email signature and on all communications and marketing materials. This includes newsletters, blogs, emails and more. Add a Follow button to your website. Send InMail messages to your connections. Include the direct link to your business page and ask them to follow you. Post on your profile page and ask your connections to follow your business page. Why should I have a business page? A business page helps LinkedIn members learn about your company and connect with your brand. It also improves your rank in search engines and will add credibility to your personal profile. Why don’t you manage my personal LinkedIn account? ASI helps promotional products businesses build their brands, and our expertise is focused on the promotional products industry. 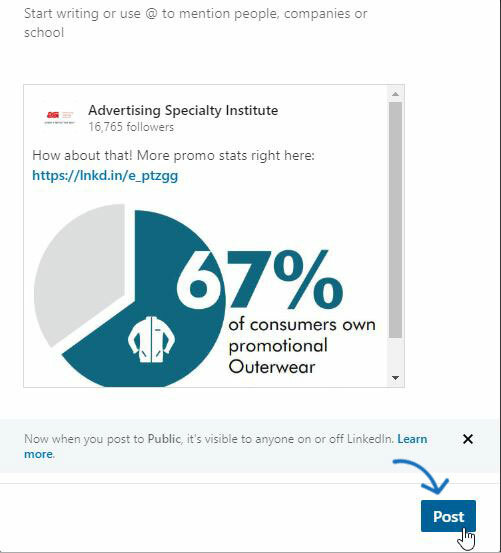 Your personal LinkedIn page is a reflection of you as a professional, including your job history and recommendations, which could be inside or outside of the promo products industry. While we can post on behalf of your company and manage your business page, content on your personal profile is related to your current, past and future personal career and is best managed by you. We also respect your privacy. Messages about career opportunities, candidate recommendations, questions about referrals, etc. are sent to your personal LinkedIn account and are intended for you to read and respond.